Fees for orthodontic treatment depend on the treatment needed for the patient and will vary accordingly. 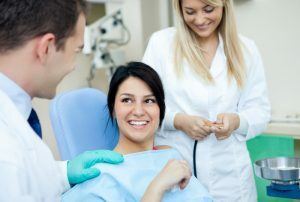 All fees are thoroughly discussed before treatment is started. It is important to us that a convenient payment plan is worked out for every patient. We offer various plans, including payment in full and an extended plan over a few years. For your convenience, our office accepts credit and debit cards, credit card drafts, and assignment of most insurance companies. We also offer third-party financing that offers flexible payment plans that fit easily into your budget. It also allows patients, especially parents with two or more children, to start orthodontic treatment with no initial payment and low monthly payments!